LUMEN No. 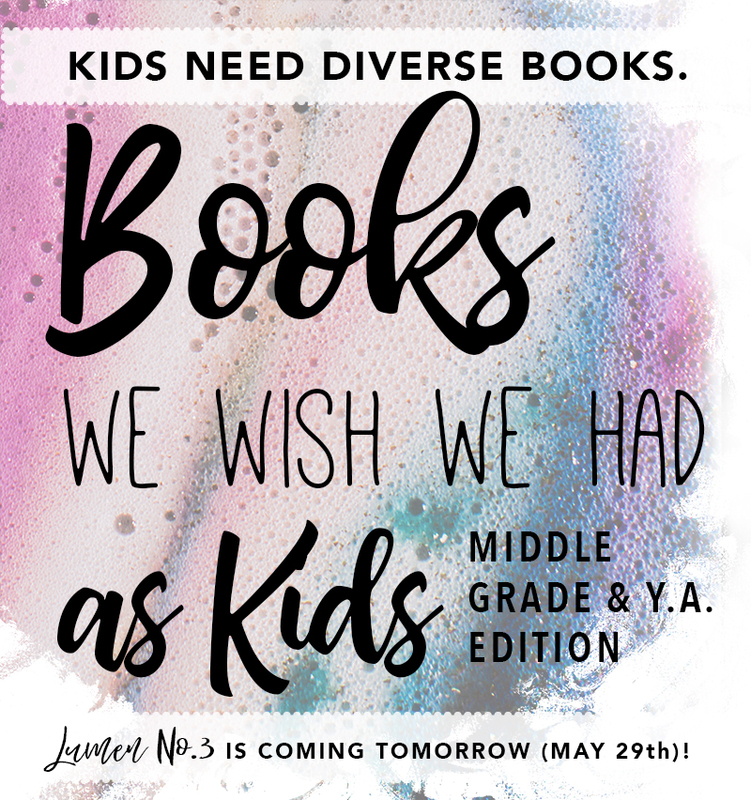 3 Drops Tomorrow, and We’re Talking about Diverse Books for Kids! Asian Pacific American Heritage Month may be nearing its close, but as we all know, the challenge of representing APA voices on the page is one that continues year round. Lumen No. 3 (the third installment of our email newsletter) is about to drop into inboxes tomorrow, and we’re excited to announce that it will be the first of two newsletters focused on the topic of Asian American literature—not for adults, but for kids! These days, there is so much exciting, diverse work that is being published in the world of children’s books, and the titles that we’ll be talking about are stories that we have loved sharing with the youngsters in our lives and that we wish we had had as kids. In this quarter’s newsletter, Iris will be putting on her “teacher hat” to discuss middle-grade and YA titles, focusing on three books that she enjoyed getting to share with her sixth-grade ELA students this past school year, and in Lumen No. 4 (to come in a few months’ time), Mia will be meditating on her thoughts as a parent on finding diverse books to share with younger APA readers. If you’re already a Lumen subscriber, we hope you’ll enjoy sharing the books we talk about in these next two newsletters with the young people in your life. And if you’re not yet subscribed, there’s still time! Click here to sign up so that you won’t miss out when Lumen No. 3 drops tomorrow. A very happy and healthy Memorial Day to all of you, and cheers to another wonderful APA Month!